Soulful R&B Ballad. Excellent Vocal performance. Excellent production value. 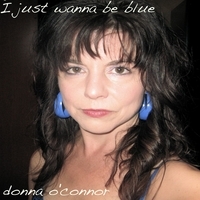 Toronto singer Donna O'Connor wrote and performed this soulful r&b ballad I Just Wanna Be Blue. This the first of her ongoing songwriting projects crossing over the pop and rock genres. Produced by Toronto guitarist Richard Smyth. The best music I have heard in a very long time.